Wife in a coma after a boating accident - Matt King (Clooney) a lawyer and landowner in Hawaii is faced with having to look after and understand his kids for the first time in his life. (The wife always took care of that before). Not the first 'Dad' to discover that his kids barely know him and are brats he also discovers via his teen daughter Alex (Shailene Woodley) that his wife was having an affair before the coma and wanted a divorce. The trailer would have you beleive this is a comedy but it is far from that and all the better for it somehow. Taking stock of your life, your kids and your whole reason for living is a big enough theme without a pie in your face and the director Alexander Payne (Sideways) is something of a master on human behaviour. Clooney gives a very studied and believable performance as a man in grief, than anger and bewilderment to one of 'revenge'. Along the way he rediscovers his kids and they him. Shailene Woodley is a gem and we get her anger and resentment and her growing confidence too. Little sister Scottie (Amara Miller) is cute as a girl bewildered but trying to find her footing in these new circumstances. This is a very human drama with some nice touches and if you ever thought Hawaii was hot and sunny, think again. I like the fact that it caught that heavy laden tropical nature in the sky which was as big character in the movie as the actors. The subplot of families and land and how they aren't making it anymore was well done and nice to see Beau Bridges pop up as the cousin. The stalking of the wife's lover was engaging and nice to see the kids involved. My only real criticism - would a man as rich as this and 'careful' with his money drive a Honda Civic? It seems highly eccentric. 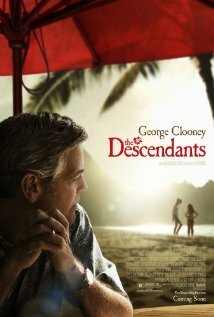 The Descendants is well worth catching - a rewarding film that plays like an 'indie'.